Keep warm and stylish this autumn winter season with the comfortable Brindley print gilet, fully lined and quilted for extra warmth. Available in two different prints, black woodland floral and marine navy chestnut leaves. 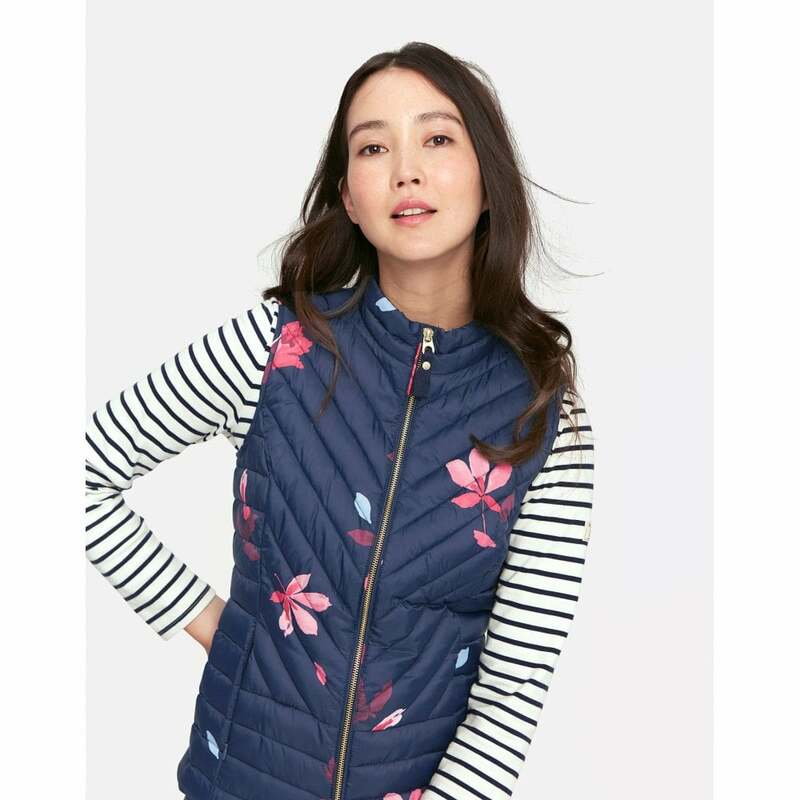 The Perfect gilet to through on over any outfit.